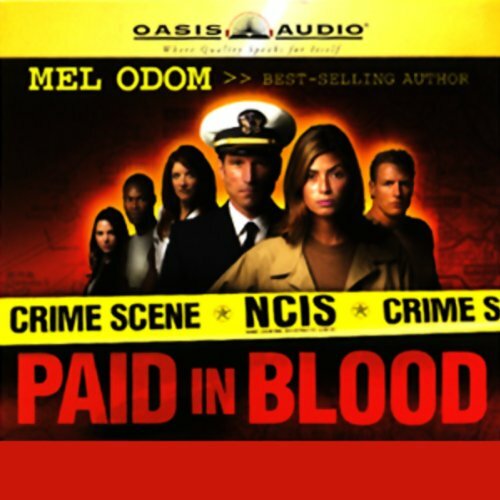 Listeners with an interest in crime scene investigation will be gripped as a crack team of Naval Criminal Investigative Service special agents investigates crime scenes around the world. Will Coburn and his NCIS team of agents are hunting for a missing body stolen from a crime scene and suspect a government cover up may be in the works. It's a race against time while the nuclear submarine they are on sinks to the bottom of the Ocean. ©2005 Mel Odom (P)2006 Oasis Audio, LLC. This book could rival the Tom Clancy books but with Christian views and values. Although this book was abridged and I have read the entire novel this version really didn't take anything away from the book. Like any Clancy novel this book did have its slow spots but this book is worth trying. Whoa what went wrong here. The book doesn't flow, characters were stale and one dimensional. I was offended by the Latina cleaning woman, who, of course, had a nephew in trouble, and a husband in jail who gets an NCIS agent killed trying to help her. Of course injury added to insult when the Latina agent has a horrible stereotypical accent. Note to reader...When you are doing a woman's voice just read it...don't try to sound the way you think we do! If that's not bad enough, we get a mini allegory thrown in about belief in God and Jesus etc. I started to feel like I was in church. The author is welcome to make his characters have a point of view and a religion. However, maybe if there was some character development it might have fit in with the story. Instead we are subjected to preaching about the value of having faith in God. I myself was praying that the story would eventually find a rhythym and be entertaining. My faith has been tested.